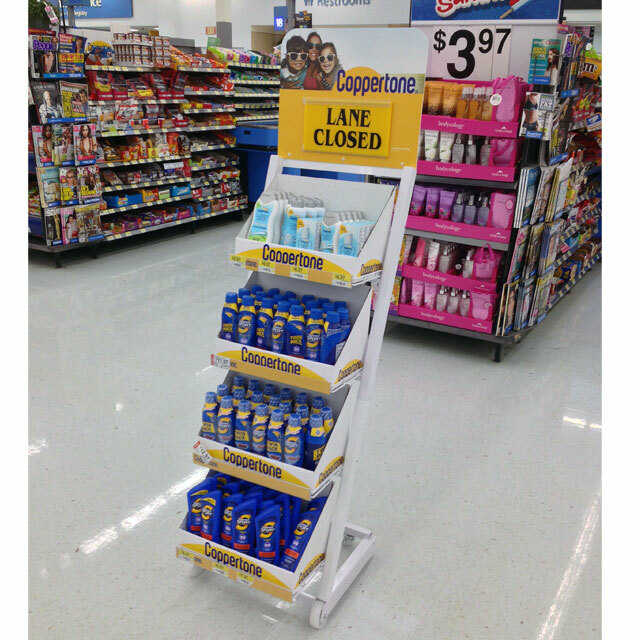 Bayer’s Coppertone brand recently rolled out this ‘Lane Closed’ floor display at Walmart stores across the U.S.. The versatile mobile merchandiser was designed to roll into closed lanes to serve as an additional vehicle to promote out-of-category sales for the brands skin care products. Featuring a durable wire and metal framework, the display was easily pushed into place with stationary wheels in the front and 2 lock-out casters in the back. 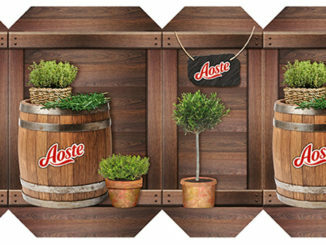 The shelves were designed to hold pre-packed trays that could be changed out to accommodate different promotions. Known for high quality mountain bike products, Crankbrothers is a proven brand tested and used by world-class athletes. 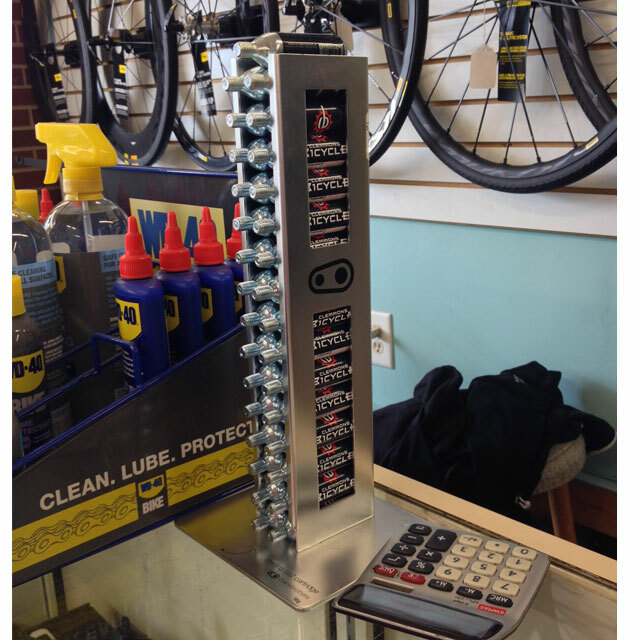 We spotted them at a bike shop promoting their CO2 Inflators with this sleek, tower counter display. Constructed out of brushed aluminum, the display neatly merchandised store-branded CO2 cartridges in two vertical columns. 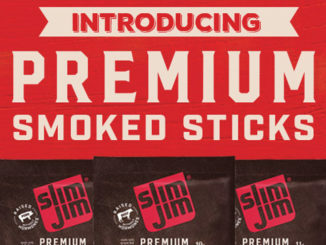 Cut-outs on the sides offered more product visibility. When we learned that our phones are 10x dirtier than a public toilet seat, we knew we could make things better. 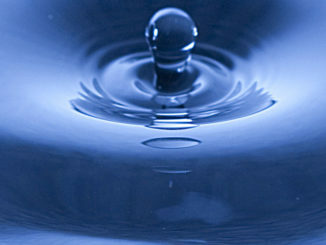 The challenge is we all love our phones and tech devices, but we don’t have any kind of routine to clean them. Our campaign to create a #TechHygiene movement is all about a clean new habit: you brush your teeth; you wash your hands – and now we believe you should Whoosh! your screens. 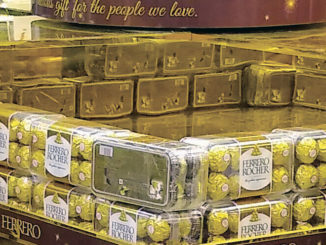 This display is a very solid effort at balancing brand assets. The orange and white work well to make the product hero and deliver quick messaging via the side lug-on copy panel. 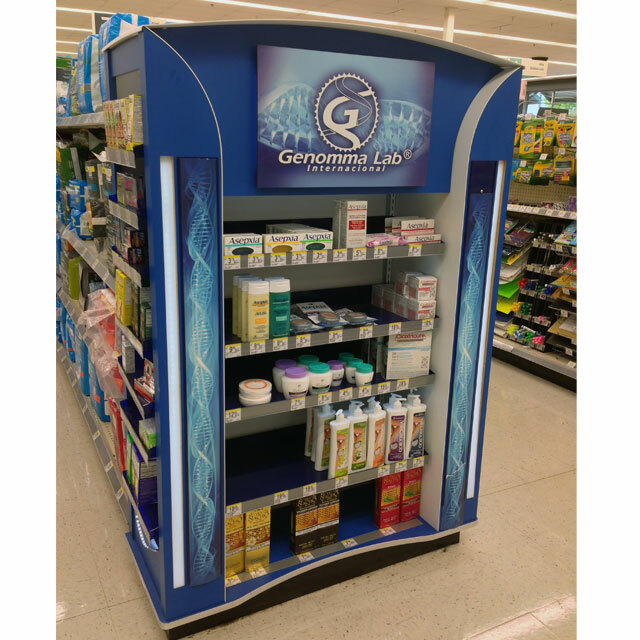 Genomma Lab International, the Mexican seller of remedies for acne and baldness, is winning back shoppers at Walgreens with this dedicated end cap display. 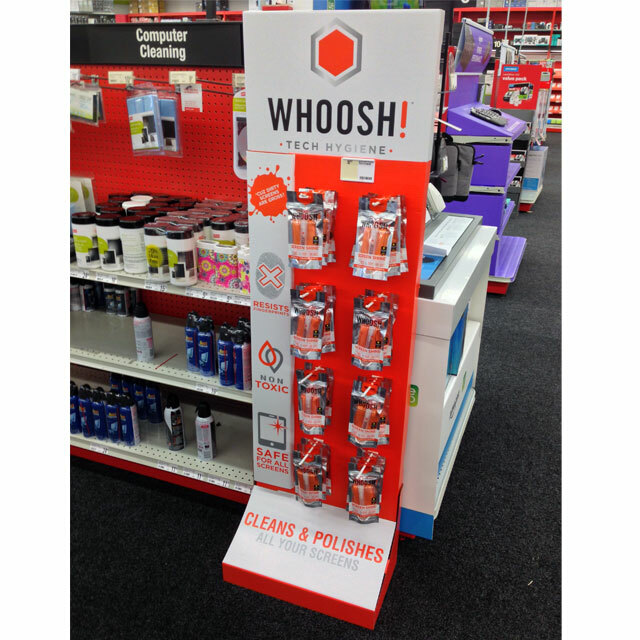 Manufactured using mostly heave gauge plastics, the sturdy display merchandised the brands entire skin and hair care lines from three sides of the aisles. The two end panels and large logo on the front of the display were back lit, creating visual interest. 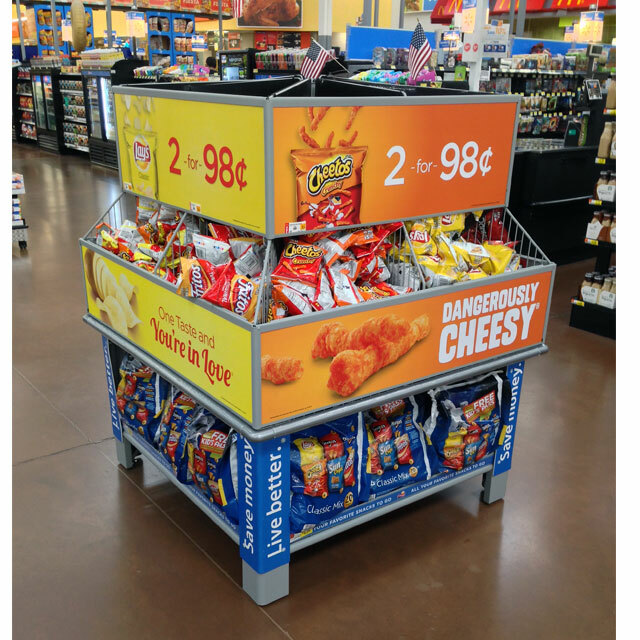 PepsiCo and Walmart teamed up to deliver discounted snacks to shoppers. 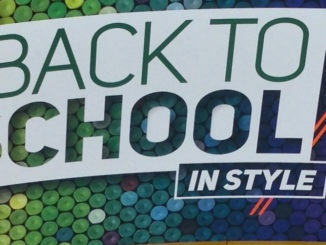 This large bin display was an instant eye-catcher with its brightly printed graphics and overall size. 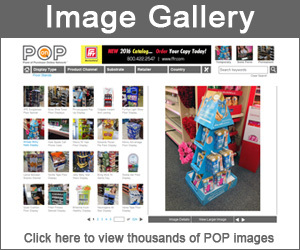 The bottom of the display housed several bags of their variety 20 packs. Above, individual bags of Cheetos and Lay’s were dispensed in divided wire bins. 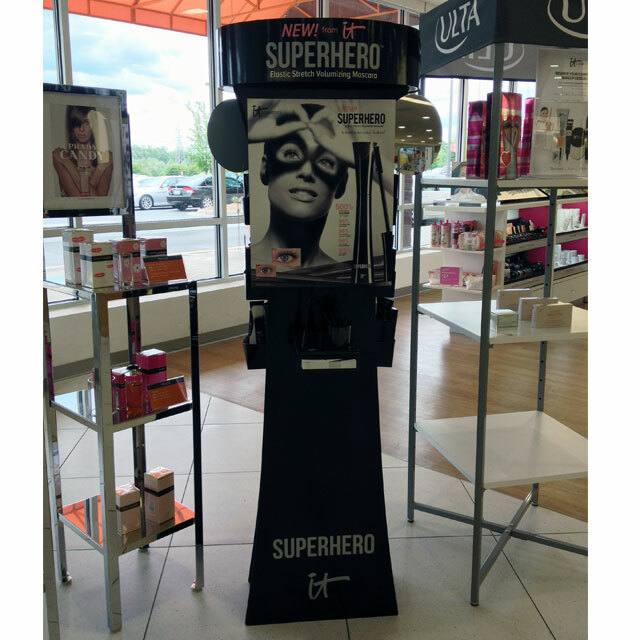 it Cosmetics rolled out this floor display to promote their Superhero Elastic Stretch Volumizing Mascara at Ulta Beauty stores. The four-sided unit was designed as a standalone, on-site salon that enabled shoppers to try their new mascara and check out the results in the mirrors located just below the round header. 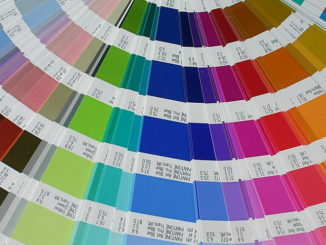 The overall shapes of the display complemented Ulta’s high end product lines.